On the problem with the large sun: Take a smaller sunhalo.tga, that you find in the MISC folder, eg from a OLC MOD or from WAC4.1. I use a sunhalo.tga, which is 27.7 kb in size. @ Seawolf & Magic. Thanks guys, there's definitely something odd going on here. I'll try the sunhalo.tga file (I have OLC's mod on a HD), but if that fails I'll try a re-install. yes in fact the sun is larger than in other MODs. The reference of Magic is correct: us the smaller sunhalo.tga and you will not have to "order the sunblocker". If that does not work with the sunhalo.tga of OLC, send me a PM with your email address, I'll send you the little Sunhalo.tga from WAC4.1 via e-mail! There ist not a special download version for Berlin-Schöneberg? Jejejejee. Thaks for your work. We waiting for more instruccions. Have Fun with LSH ! I was reading thu the english mini manual at lunch time here and it seems to indicate the importance of the radio messaging structure within the mod. A lot of the time I DO like to play with german voices and enligh subtext (mostly for atmosphere) Are the messages in English? The examples in the manual are in German ( which unfortunatley I do not read). Hopefully the photo clips are jeust that way to avoid two complete mini manuals. Just from readin this looks like one great mod! Thank you all! You know there's just that "something" about SH3 that keeps drawing you back over and over. There's an underlying tension of being the hunter AND the hunted that just isn't there in SH4. We have placed English PDF-Manuals for most of the MODs into their documentation folders. Please keep the mouse staedy at each MOD and read the QuickInfo. Then rightclick the desired MOD and open the concerning "ReadMe"PDF-File. I am one of these strange guys using most of the time NYGM 3.3B (been using NYGM since the start) I decided to download your LSH mod to give it a try. After a few patrols I must say it is very impressive work and very immersive. I like the new harbours, the idea of the "Erprobungsstelle" to get used to new subs. I just changed a couple of things to my taste, like greying all the contacts arriving on the map (like to go and have a look by myself). Only one little problem. I started a career in 1939 at the Erprobungsflotilla in Stralsund. I completed the sinking of the two ships and said hello to the russian fleet on the way. When I was back in harbour, I applied for transfer to 2nd in W'haven according to radio msg recd, and exited the game as said in the manual. 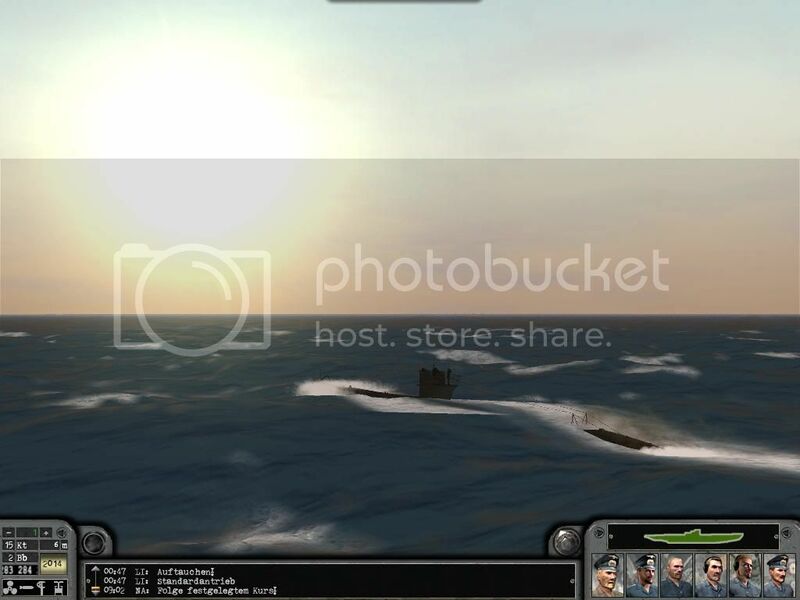 On restart, I was still in Stralsund, had an AO square patrol, although I rec'd a msg to move to Rockall banks, which I did _ sinking a small convoy of 4 ships there. Any idea why I did not transfer, or do I have to make 3 patrols in Stralsund before transfering ? Anyway congratulations to the whole team for a great mod which will stay on my HD. when you are back in your base, first select the "2. Flotilla" and then klick on the line (in top) "Apply for transfer". A "pop-up" with the message "New base: Wllhelmshaven" will appear - if not, the transfer failed. Just one hint: do not upgrade you sub BEFORE your first patrol in your career. Otherwise you can get such problems.